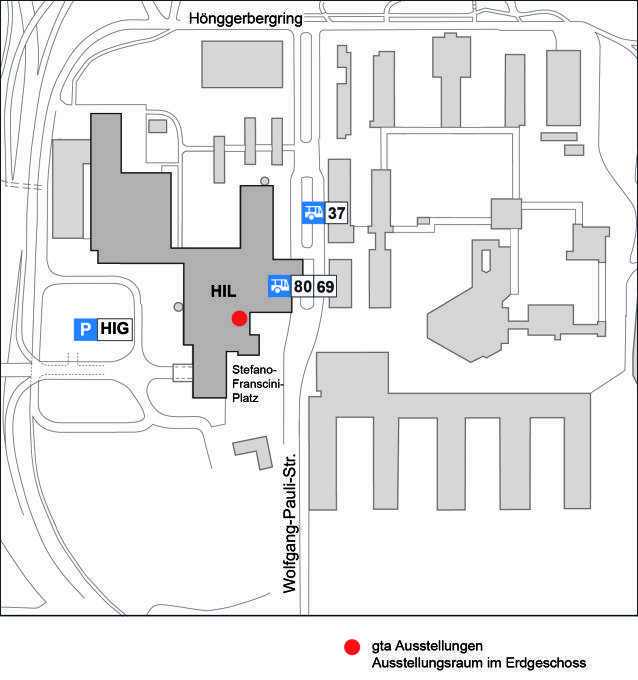 Our main venue is located at campus Hönggerberg. A few projects take place in other venues, please check here for information. No exhibitions during semester breaks. Please check our current program here.